This is an extended version of the Trillium Sound Meditation. You can find an excerpted version, for free, in the Listening Section. We have found this extended version exceedingly helpful as a means to assist sleep and play it when we go to bed. 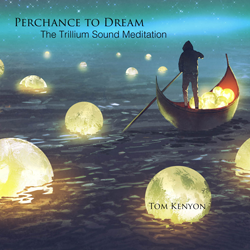 It is titled Perchance to Dream because the long slow fade ins and outs mimic the cycles of dreams during sleep. This version is also ideal for those who wish to psycho-navigate The Multiverse as described in the Hathor message titled Trilliums. We suggest following the instructions in that message for maximum effectiveness during psycho-navigation sessions. This recording is currently only available as an mp3 download. The basic meditation was first performed and recorded during the The Multiverse workshop.